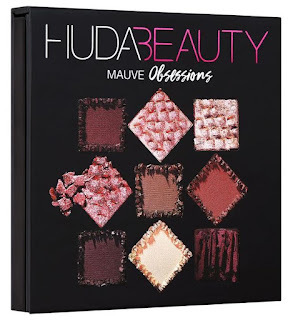 Huda Beauty has released a set of four "Obsessions" eyeshadow palettes, each containing nine eyeshadows. 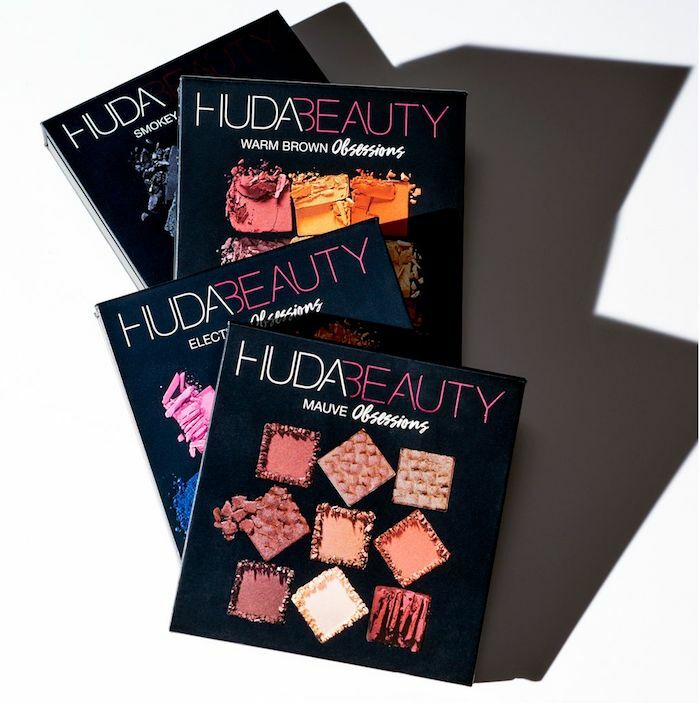 These are "minis" in comparison to Huda's larger 18-shadow palettes, Rose Gold and Desert Dusk. 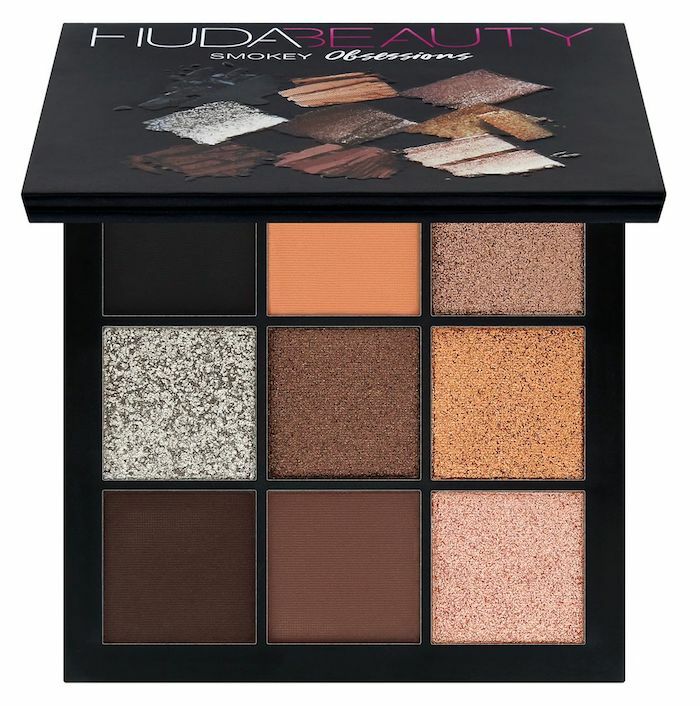 The four eyeshadow palettes are Mauve Obsessions, Smokey Obsessions, Warm Brown Obsessiona, and Electric Obsessions. They cost £25 each. They are now available worldwide - and best of all, there's a an ongoing GWP offer - if you buy for £165, you get a large Best of 2017 goody bag with code BESTOF17. 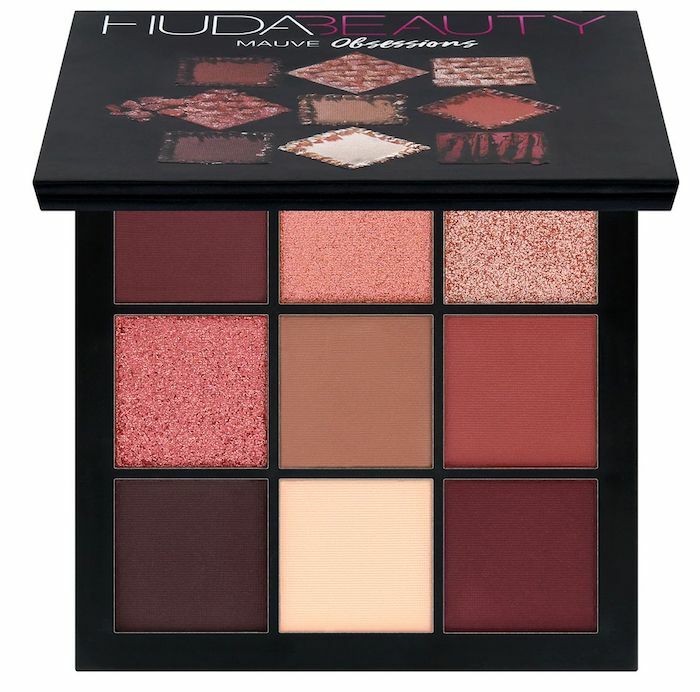 Scroll down for details of each of the Huda Beauty Obsessions Eyeshadow Palettes, and a limited gift with purchase offer. Mauve Obsessions is definitely my favourite of the lot. 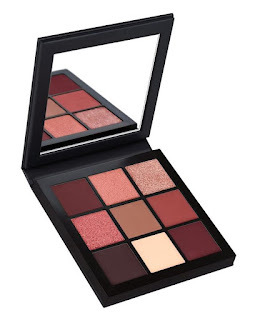 It has deep rose, berry-taupe and wine hues in matte, satin, and foil finishes. 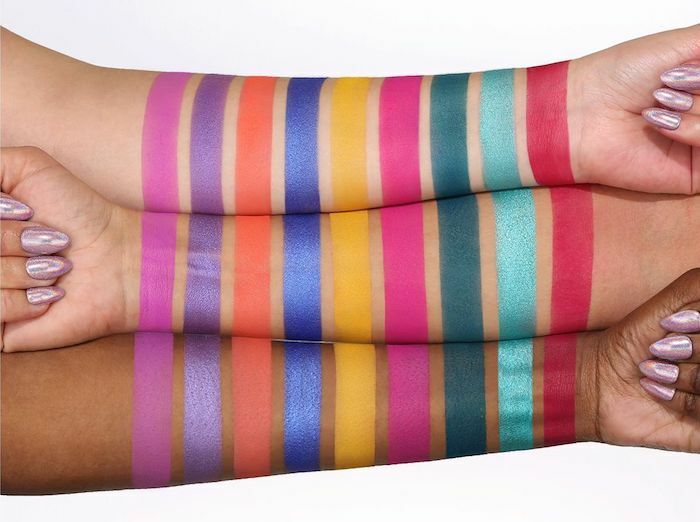 Smokey Obsessions is my second-favourite. There are sultry cocoa and mahogany, and metallic gold and silver in here. Warm Brown Obsessions is replete with warm neutrals, rusty and burgundy hues. 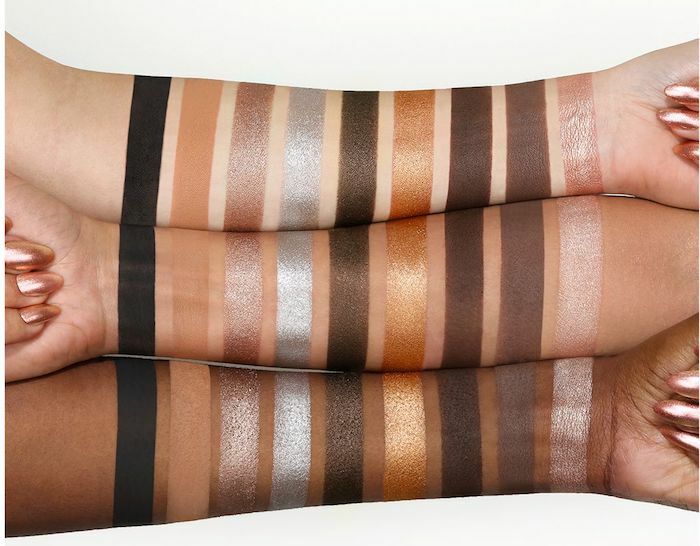 It fits right in with the recent influx of warm neutrals we saw. 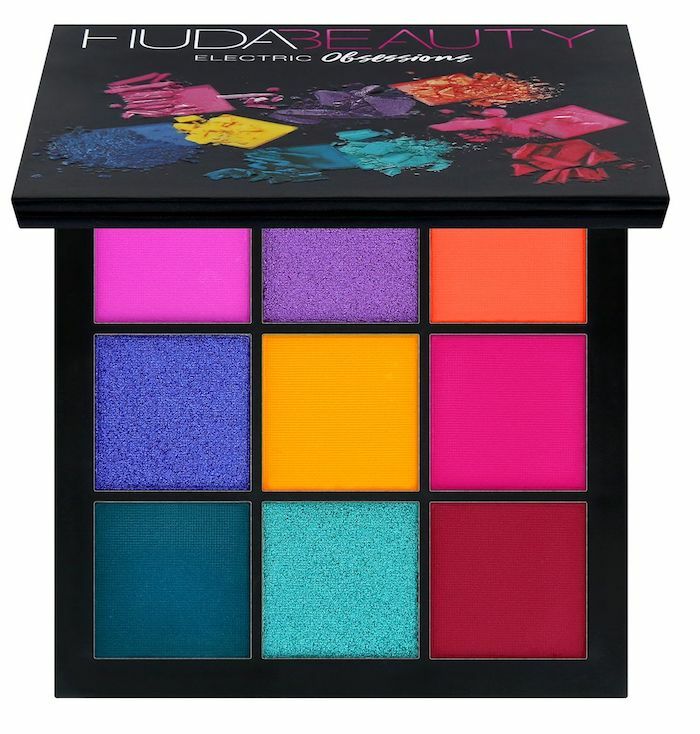 The one I'm not thrilled with is Electric Obsessions, because I definitely cannot pull off brights and neons on my eyelids. This one is not for the faint of heart. 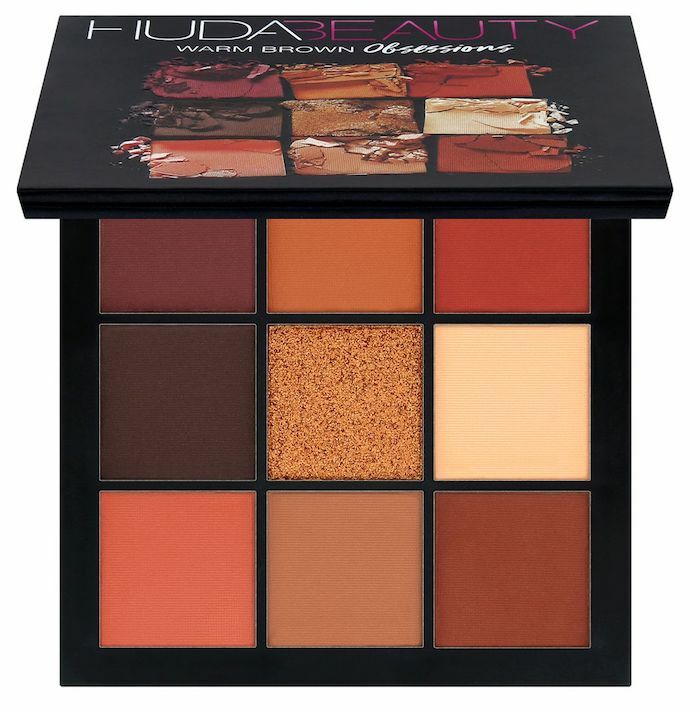 Now, if you add a couple of extras such as the Huda Desert Dusk Palette, or the Winter Solstice Highlighter Palette, you become eligible for Cult Beauty's Best of 2017 Goody Bag FREE! 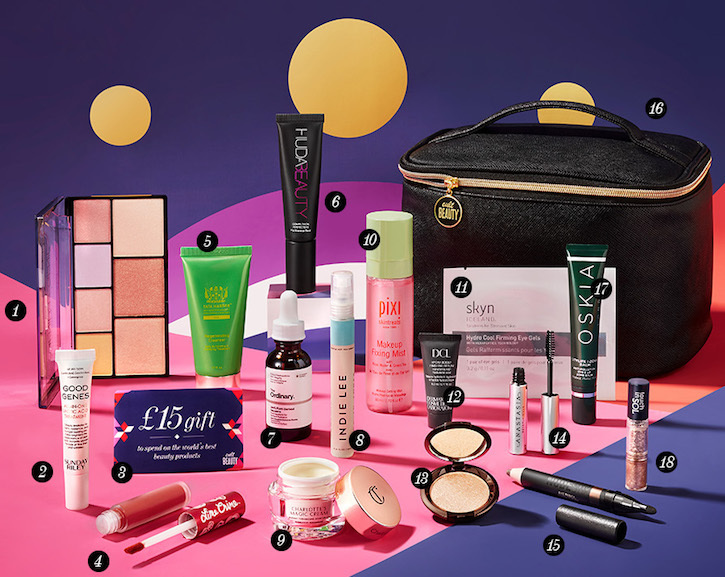 It is jam-packed with goodies including seven full-sized products - enter code BESTOF17 when you have £165 in your shopping cart, and you get the gift free - until the GWP sells out, which it should soon, so hurry! 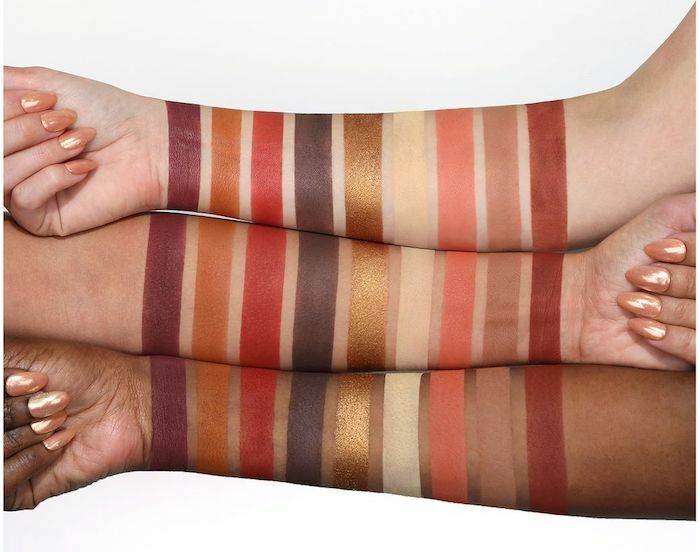 Which one of these palettes appeals to you? Or do none of them float your boat? Tell me in the comments box below!